This website is currently undergoing maintenance. The Publications, Paintings, Wildlife Notebook and Research pages will be back soon! Apologies for any inconvenience. I sketch in the field using Graffwood 3B pencils and a minimal number of watercolours. I carry out a range of ecological work and am able to survey invertebrates, birds, mammals and reptiles. I specialise in the identification of ground beetles. Ecological studies of individual species have included various ground beetles, oil beetles and the heath potter wasp. Recent projects include an invertebrate survey of road verges for the Highways Agency, surveying and studying the ecology of the ‘worlds rarest spider’ the Horrid Ground Weaver for Buglife and teaching beetle identification to Plymouth University students. I have been giving talks on wildlife studies for over ten years. These are a combination of field sketches, photographs and video clips. I have thousands of images to choose from so am constantly adding new subjects to my presentations. 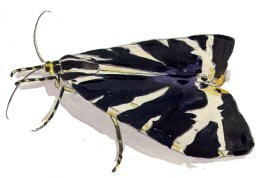 I also lead workshops in wildlife art, recently working with primary school children at Horrabridge and Buckfastleigh sketching moths and showing the camouflage of moths in my ‘Spot the Moth’ exhibit.